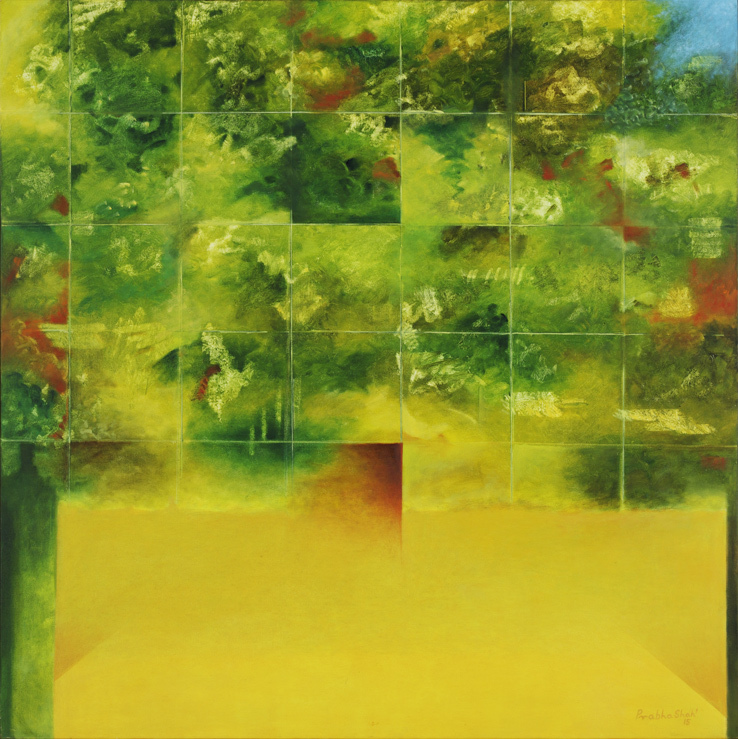 Prabha Shah has been a valuable member of the contemporary Indian art world for almost five decades. Born in 1947, she discovered painting as a young girl and immediately welcomed it into her life as a calming and communicative presence. She spent her early education at the Government Lady Noyce School for the Deaf, Dumb, and Blind in New Delhi, learning in the context of speech and hearing impairment. She later studied painting informally at the Kanoria Mahila Mahavidyalaya in Jaipur as a student of Canadian artist Bill Wheaton, and at the University of Udaipur as a student of P. N. Choyal. 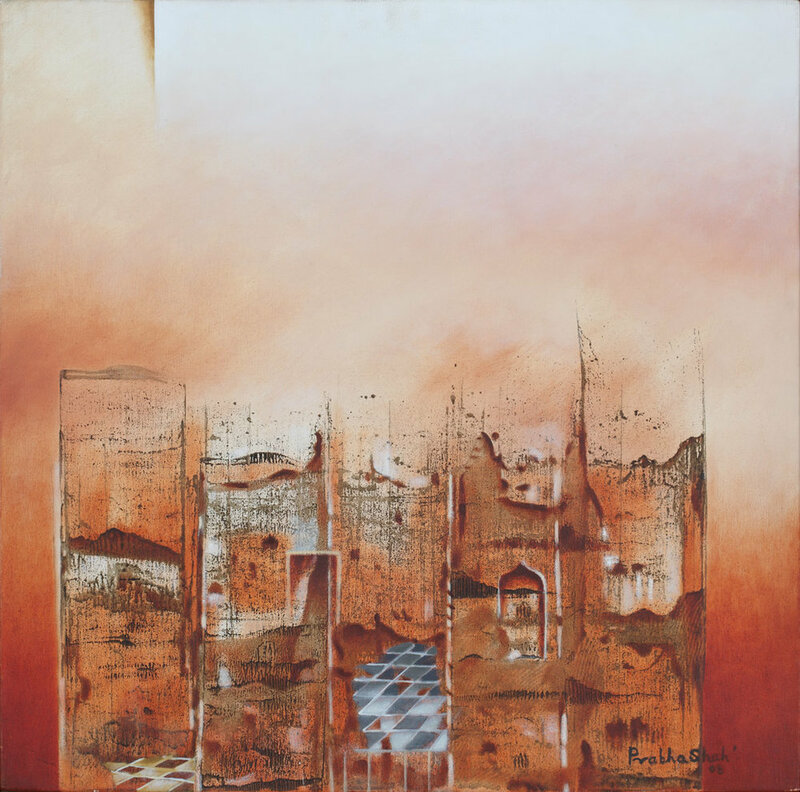 She continues to paint as a freelance artist at the Triveni Kala Sangam in New Delhi under the guidance of Rameshwar Broota. She has held fellowships at the Department of Culture, Government of India, and the Lalit Kala Academy in New Delhi from the 1970s through the 2000s, earning several awards during that same time. 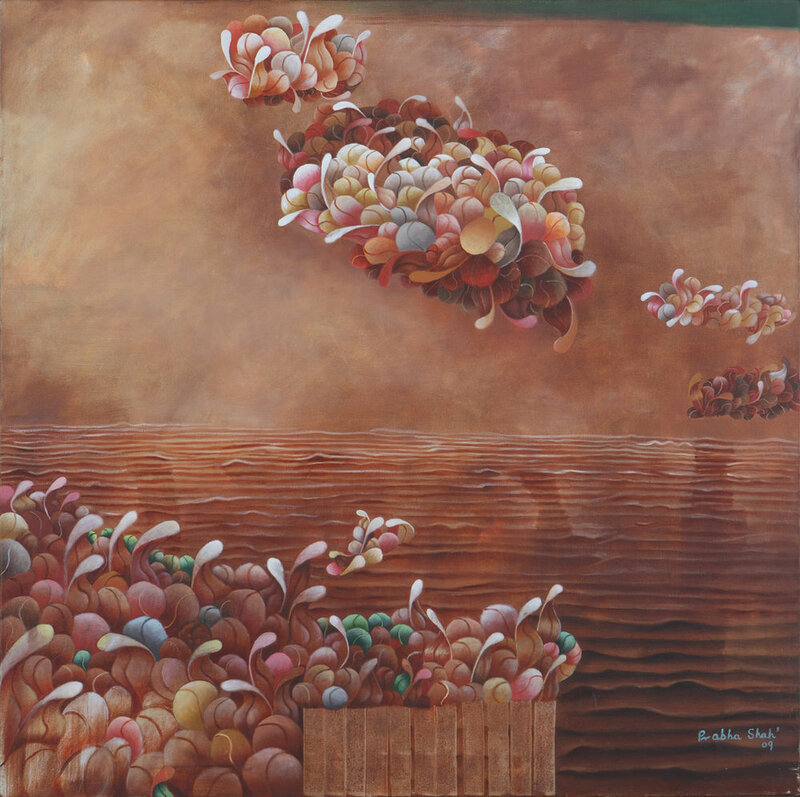 From the 1960s through the present day, she has exhibited her work in solo and group shows. Her paintings are on display in the collections of the Rashtrapati Bhavan, the Cabinet Secretariat, and the National Gallery of Modern Art in New Delhi. Throughout her career, Shah has created surreal and nuanced odes to the rural and urban landscapes in which she has lived. She embraces a set of earthly motifs - stones and sky, doorways and windows, water and sand - that emphasize the role nature has played in her development as an artist. Her work is imbued with subtle color transitions, surprising textures, and a confidence that can only come from years of practice. She can be followed through her Facebook page. Bahukhandi, Manushri. "Prabha Shah: Hearing Beyond Sound." Zee News, 12 Apr. 2001. Chaitanya, Krishna. A History of Indian Painting: The Modern Period. Abhinav Publications, 1994, p. 274. 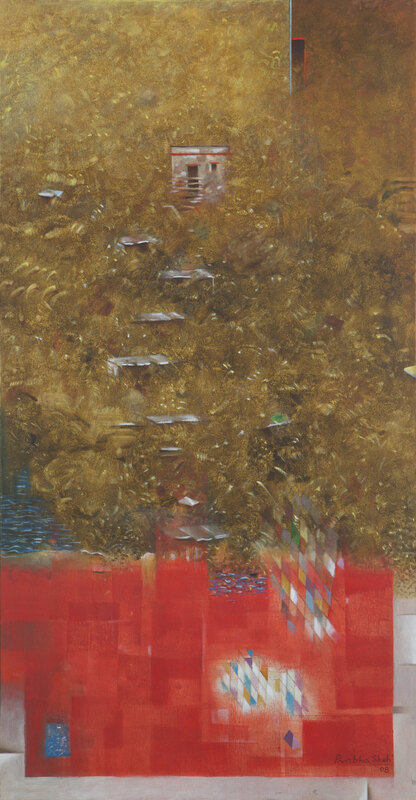 "Contemporary Indian Art: Prabha Shah." Art Majeur, n.d.
"Prabha Shah." Saatchi Art, n.d.